There’s something to be said about downsizing. Purging through all worldly goods in order to make room for a smaller space. Not long ago, I went through it, and although not easy, it actually felt good in the end. If I didn’t absolutely love something or need it, PLOP, it was dropped into one of three boxes: sell, donate or garbage. This morning, I sipped a warm café latte from a painted cup of cream decorated in dusty roses woven in stems with muted green leaves. A matching bread plate sat in front of me holding a freshly toasted English muffin that called my name. “Come closer…nibble away….” Nearby, a shiny teaspoon of silver rested upon the cup’s saucer, while a butter knife in a flowered pattern of the same shined in rays of early morning sun. The dishes were my mother’s, passed down to me after she died nearly six years ago. Afterward, I proudly displayed them in a packed china cabinet where they were used only once or twice a year during the holiday seasons. The silver was a wedding gift, over thirty years ago. I’ve used it perhaps twice a year, again, during the holidays. In sorting through my life, I found a few of my favorite things simply put away, or saved… having chosen other items to use in their place. Why? What was I saving them for? When was the right time, if not now? Prior to my move, an estate sale was held where everything imaginable was sold, except a few of my favorite things…those that I had been saving. Downsizing opened my eyes to using and enjoying my favorite things. No longer do I save them for someday in the future that may never come to be. Now in my smaller home, I use my mother’s dishes each and every day, including my wedding gift of good silverware. I’m creating new memories while bringing back some of the old. My mother’s dishes will forever trigger warm and loving thoughts of food and family around her Arizona table of solid oak. One day, my grand-babies will learn about their great-grandmother, of how much she would have loved them, and about the dishes they are spooning from. And too, about the very spoons themselves, those that are now clutched in chubby hands while dropping green peas or dribbling applesauce down wee chins. Yes, there’s something to be said about downsizing. Use and enjoy your favorite things today, don’t save them for tomorrow. A lovely share of everyday life. A bit of ‘magic,’ indeed! I think of this life, how we move through it, relate to it and the people we encounter, wondering sometimes why it is we connect to those who become an attachment to our lives, stuck like a happy piece of Velcro to our hearts. We find ourselves in unexpected places sometimes, and often making a connection, perhaps with a smile, a word of positivity or a hug to console. Early this morning, with hooded lids open in the dark before dawn, I lay in my bed to sounds of a bird chirping outside my window blinds. Lyrics of nature welcomed me to a brand new day. Dropping paperwork to the top of my desk, I strolled outside with a cup of coffee. Sun splashed to warm my face as I sunk deep, deeper still into the middle of an old foam patio chair. Soon, I felt as though I’d be swallowed up, but I did not care. This was the first of the season. Cushions cuddled me like a babe in the womb, making me feel safe and secure all around. New neighbors seen moving into bird houses a few weeks earlier flit and flew back and forth between feeders, gathering seed. The sky was painted in royal blue with not a cloud floating by. Twinkling chimes hung from trees ready to bloom near others that were already full and flowered in lavender or cream. I closed my eyes to imagine the tranquility within. It had been a rough go of it since Easter. My dear father who I have so often written about had found new love again after losing my mother to a long battle with cancer five years ago. As with any blending of families, even adults far apart, there were a few minor adjustments it seemed. Yet, my siblings and I were so very happy for our father. To think he had a second chance in life! There was a smile on his face again, a new step in his stride, and although he was hesitant to begin anew, he finally found the courage by eloping on March 11th. A ‘wedding party’ is scheduled in Arizona on April 23rd. Sixteen days ago, on March 27, Easter Sunday, my dad’s new bride, Eileen was admitted to ER where she was diagnosed with cancer. My father, of course, is in a state of shock. When all test results came back last Friday, the unbelievable. His wife of three weeks has a very aggressive form of cancer that has spread throughout her body. Last night, it was nearly touch and go. It’s difficult to concentrate on work these days. My heart aches for Eileen’s physical pain together with the emotional pain of my father. How can life be so unfair? The house they had planned to move into sits empty and waiting…for what? I feel helpless, but each and every day I send my father messages of support together with pictures of inspiration and encouragement. He knows that I will be in Arizona together with all of my siblings on April 23rd. I’m thanking God for nature together with the sweet sounds of the birds today. I’ve been slapped in the face with mortality together with the gift of life. Definitely, not the first time. Perhaps it’s another reminder? *Yes, this has been posted before during the month of April. But, it’s why I’m here in the first place. The reason I began writing long ago. Please take a second glance to think of little ones who need a chance. Thank you. Baseball Season! The time of year when Little League games will soon begin! I remember my husband buckling seatbelts around waists of toothless grins before closing the door to our minivan. It was “Sign-Up Day,” at our county Athletic Association. I’d like to say that playing sports isn’t any different for children living with Chronic Conditions. Turns out, anything is possible with a positive attitude, determination, planning and a few adjustments. In a small building on the busiest street in town, folding tables were set in a room of peeling paint. At first glance, it looked as though a country wedding was about to begin. Instead, there was a cardboard box of printed paper surrounded by an unspoken order. Tiny boxes needed be checked under fluorescent lights of bright white. Names and addresses and ages too, were to be added in lines of blue. Days later, an official looking letter arrived. Like the first day of school, it listed an assigned teacher (coach) together with a classroom (team). My boys delighted in this. Especially the name of their teams! Raptors, Thunder, or Boys of Wonder? It didn’t matter. A Home Run had already been hit within their imaginations…. That first season started only weeks after my oldest was diagnosed with diabetes. Mothers and others covered their mouths, back then. They whispered behind my back, “Was it possible to play with his condition,” someone asked? Yes, my son could play baseball! I would figure out a way. 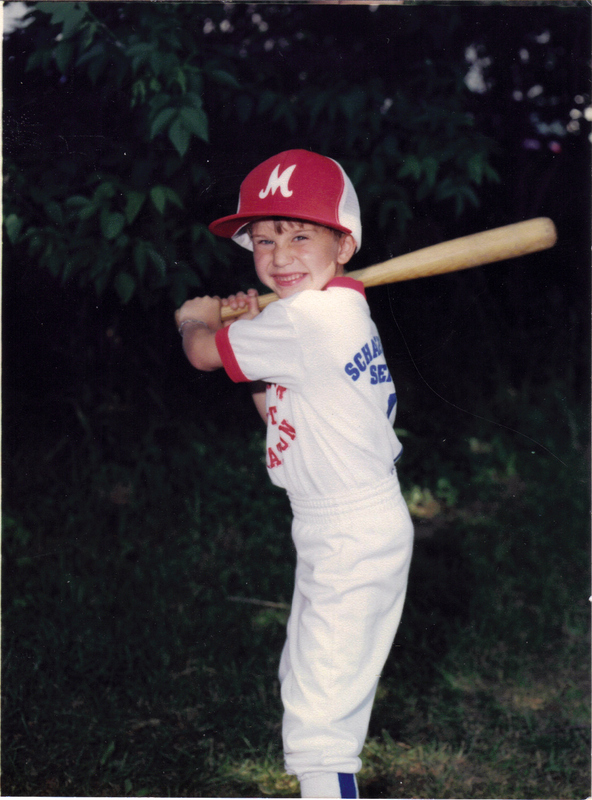 He was no different from any other little boy…..Besides, he was good with the ball and a quick runner. 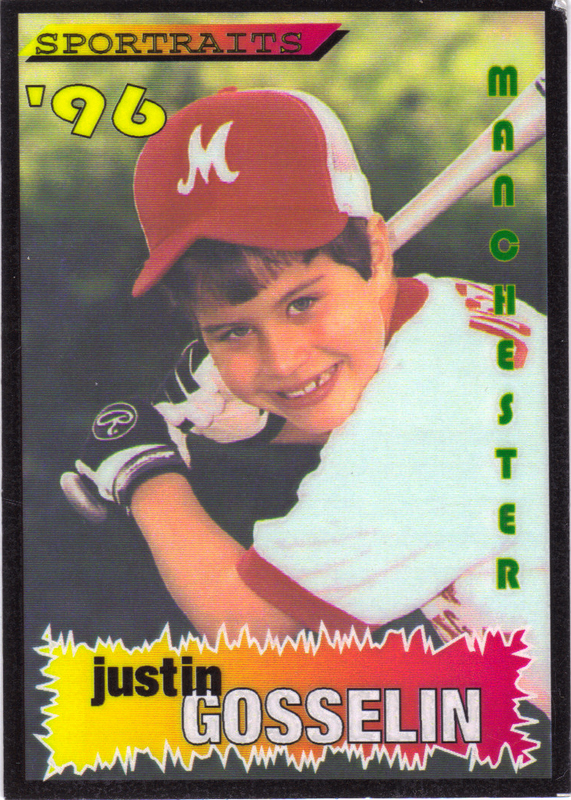 He could steal bases faster than any other six-year-old on his team. His coaches nicknamed him, “Jet.” Once he started running, he didn’t stop. This was two years before, Forrest Gump! I’m not going to lie. It wasn’t always easy. Adrenalin made my boy’s blood sugar drop like the pitcher’s ball at home plate. Oftentimes, I’d dash to the dug-out to prick his finger, checking a single drop of blood to see if his number was “low.” If so, he’d drink a can of juice or eat some food brought from home. Sometimes both. Then off he’d go, out into the field of green to play and run and have some fun. Or, maybe not. 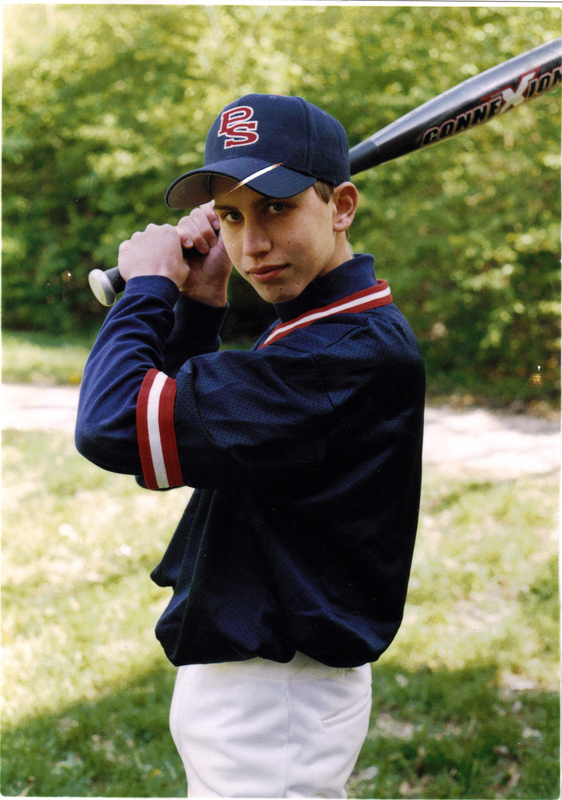 My youngest son who lived with asthma, had obstacles too playing sports. Exercise was a huge asthma trigger for him. He used a preventive inhaler before each game. 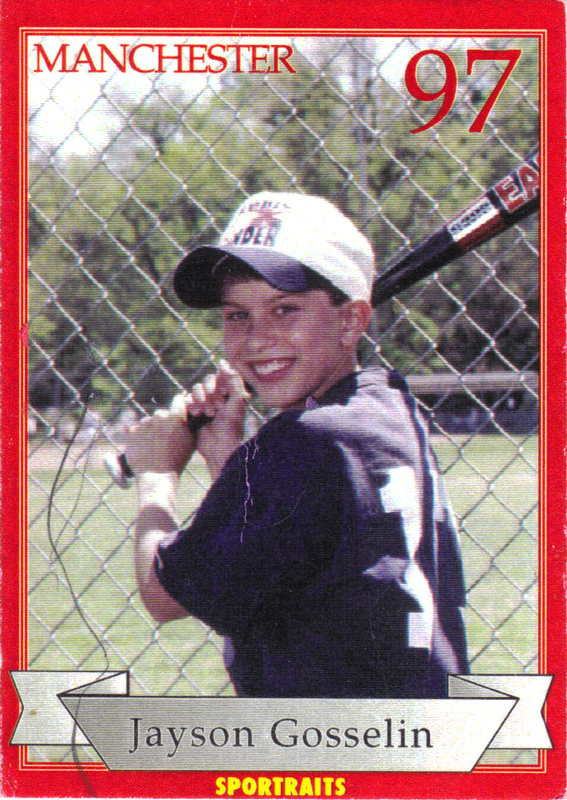 Even at a young age, he was still a big ‘little’ guy who slammed the ball far over the fence. After running around all three bases, he often had to sit out for an inning or more. Holding his chest, he’d gasp for breath. Deeply, he’d inhale white powdered medicine from his rescue inhaler. So difficult for him to wait on the bench while his friends giggled in the dugout while tossing the ball. Harder still not to breathe…. God taught me many lessons during the years my kids played baseball. After all, I lived at the ball park from the first game in spring until the last one of summer. In turn, both of my children learned important lessons too. Living with Chronic Conditions didn’t stop them from being like any of the other kids on the team. They simply had to do things a little differently. Somehow, they found a way. If your child lives with a chronic condition, do whatever it takes to make their dreams come true. Encourage them to try. Ask for help, pray to God and wish upon a star. If you believe in their dreams, they will too. If I could give all I knew one present for Christmas it would be an itty-bitty piece of my father. I suppose many daughters think this about their own. The lucky ones. Mine is like no other man I’ve ever met or known before. My grandmother waited 36 years before delivering her, “only begotten son” on a snowy Christmas dusk in the year of 1932. Five older sisters awaited his arrival, while an older angelic brother looked down from Heaven above. A younger sister of blonde and a baby brother lost were born during the years that came shortly afterward. My father was always the only brother…his parent’s only son. A humble man who has the kindest soul, my father is always loyal and true. He’s taught me subtle, wise lessons in life. As a girl, I watched his gentle mannerisms while listening to his quiet words, soaking up hushed teachings like a dry sponge dropped in a Michigan millpond. One of my father’s most repeated lessons was, “Treat others the way you want to be treated.” Much like the Bible, I guess. It has stayed with me forever and always. Shortly after my own two boys learned their first few words, I passed it down to them together with tender hugs and kisses. They are having their own little ones, now. If the cycle continues it will be a lesson for their children as well. It is the most important one of all. Once, when one of my sons was very young and very ill, I called my father in Arizona all the way from St. Louis. Choking back tears I remember saying, “Dad, I don’t think I’m going to have him very long.” He paused for a few seconds before finding the right words. I don’t remember exactly what they were, but together with his quiet tone, my father calmed me down. I hold that single moment deep down inside of me. Today, it is here within the whole of my chest…near the inside of my heart where it will stay for all eternity. My father has taught me lessons my whole life through. We are both older now. It seems he is my guide and advisor only if I ask him to be. We value our time together more than ever before. Like children on a playground who have been friends all of their lives or even before, we laugh and play. Sometimes we swing on a rubber tire hanging from an old frayed, cream-colored rope. Like babes again, feeling our heads dangling in the wind! Other days we walk slowly along a new path, discovering speckled rocks to help us find our way. Last night, I sat close to my dad in a puffy padded booth on a dusty patio. Surrounding us was the warmth of a golden desert sun setting deep into the cocoa sand of a saguaro cactus land. We talked for hours about nothing, telling old stories while sharing silly jokes. I sipped cheap red wine from a glass bowl of clear. He drank a little more. Older teeth opened wide revealing burgundy red. I giggled, he laughed. A head of thick grey hair…formerly jet black, tossed back. Like always…..
“That’s my father,” I whispered aloud, to no one except coyotes hidden in the distance of the desert there. With new grand-babies celebrating birthdays, another son soon to get married (less than a week) plus the whirlwind of activities surrounding such, I’m cheating here a bit. The post below has a a special place within my heart containing a lesson with much meaning. I thought of it as I braked for a bright, yellow school bus that had stopped in front of me this morning. The stop sign of red on a gate of black directed me to wait. Before I wrote the words below, a special kind of golden bus had stopped in front of me where I observed other things that day. Not long after, I met an exceptional new ‘friend’ in my comment section. I’ve grown to read and love her own blog for she truly is a gifted writer. Somewhere within her message to me she said, “I am that mother…..” I remember the way her words jolted me at first, to think that She could be “That Mother.” Reading them, I had to stop to catch my breath. They caught me off guard, causing me to shed a tear. Perhaps she did too. The “Mother” opened a new window for me, allowing the warmth of the sun to shine through my little spot here on Wordpress. Comments are special. They take time to write, allowing me to believe that I’ve had an impact on others in some small way. As one who has great passion for words to share, I do not take them lightly. To all of my readers, I thank you for being with me, for your comments today tomorrow and the next day too. Dedicated to Karen together with her beautiful family. Each and every day and usually more than once, I drive past a lovely Equestrian Center very close to my home. It’s a beautiful place where horses of all breeds are boarded, competitions are held, lessons are taught, trail rides are given, and magic happens. Only recently, I found this out. On any given day, behind white split-rail fencing in flat, muddy fields I’ll see Mares munching on bales of hay, Stallions kept at bay, Geldings trotting close enough to take a look, and if I’m very, very lucky, a Mama nursing her baby foal on spindly legs or a dewy colt barely born. This past summer on a still afternoon, my husband and I pulled into the dusty parking lot of the above with our little grand-daughter who squealed with delight. Clouds of brown welcomed our car with poofs of air the color of smoke. A wooden porch of sun-bleached planks greeted us before we checked in. Sitting on the plain pine bench, I almost expected a prickly tumbleweed to roll by! The smell of open barns drifted my way, drawing me in. My grand-daughter’s small of hand clasped my own, looking up to me. Her eyes of saucer blue together with a smile that melts my heart-so-much stopped me in my tracks. We went on to visit countless stalls of fresh cream-colored straw, most with horses living in them. Others were out, taking a break. Everything was ‘new’ to her, a story waiting, words to say, magic happening…..
Wafting through the first barn was the musty scent of sweaty horse hair together with manure from a nearby field of weeds. Click-Click…sounds of fancy cowboy boots tapping on the pitted cement floor while silver spurs passed right in front of us! So close we could almost touch them! Shiny silver with sparkling jewels together with little stars twinkling from them! On the wall to the left, a long row of black helmets hung from dark brass hooks. “But, why…,” she asked. Always a question, forever an answer. “To keep you safe,” I explained. “I want to see the horses, Grandpa,” our grand-daughter exclaimed, jumping up and down! My husband lifted her with both hands, propping her up on his shoulders to get a better view over the fence-line. Gorgeous, smooth, soft-to-the-touch heads in solids and spots sprung from their lunch breaks to check us out. Pointed ears in brown, black or tan tapered just so, in curiosity. Long, wiry hair of swishing tails swinging back and forth. Sooo pretty! After all my time in living here, it took the innocence of a child for me to truly see the magic in a place I’ve barely glimpsed before. How much MORE of life is there to live, if only I could look through the lens of a child? There is a familiar spot here in great St. Louis, where people flop inside or outside, leaving their troubles behind for another time. 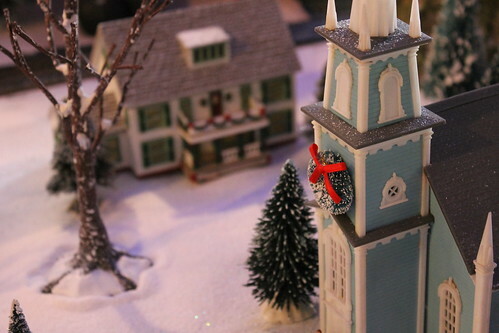 Actually, this hang-out is located in a toy town called Kirkwood, about ten miles from the chocolate color of my dusty garage door. When summer begins to wane the weather is perfect, like this time of year. Today, barely a soul of young or old can be found inside the multiple front doors of the welcoming café. Instead, eagle eyes scan the outdoor crowd, looking for any sign of movement in case an imaginary “Vacancy” sign pops up. Deep breaths are taken. Fresh air is inhaled while lungs expand. Ahhh, relaxation begins! It is here that a new discovery is made each and every time I visit. Who would think that a simple, non-descript patio made of concrete cement would have such an impact on my life? And, yet it does. This is my Happy Place. A corner of wired tables in black with matching chairs on top of grey. Wait…take a seat, sit down to rest your feet. Shhh, watch and listen. This is a haven full of people who are living in the moment. Do you see what I see? There are mothers pushing strollers, babes in arms, Daddies giving horsy-rides and coffee cups made of china white. Children riding scooters, chocolate milk clutched in little hands, bikers, joggers, bunnies in wagons and toasted bagels laden with cream cheese. Kisses on cheeks, grandparents carrying toddlers, and dogs-of-all-kinds. Pacifiers in pink or blue, books being read and luxury leashes made of leather. Working laptops, baked banana bread so good, couples on first dates, I-phones, singles and fountains splish-splashing. Love is in the air, walkers, bottles filled with water, smiles, secrets and even bellies-SO BIG! My husband clasps my hand to find me the best seat. He pulls out my chair before inquiring what I’d like to sip and eat. “A vanilla cappuccino,” he asks, expecting a “Y.E.S.” Next, his words so sweet, “A cinnamon roll warmed for you?” He is the very best man and I am the luckiest of women. Soon he comes back with my treats. While nibbling, I stop to “people watch,” snap a few pictures, and meet new friends. The sun feels warm to my skin, pinking my cheeks. Next to me, I meet the cutest Labradoodle who excitedly poses for me. And then, a “Hallmark” moment begins. A few feet away, the sweetest girl of young reaches up and over on tippy-toes to kiss her loved one so dear. She has long and lovely dark hair, wears shorts and seems to surprise the woman who is older than she. My heart skips a beat. Seconds go by. The freshly kissed woman passes our table. My husband smiles, pointing to our phone. “Look,” he says, stopping her. A gentle grin, big and wide slides over pretty, white teeth. She is touched by what she sees, going on to tell us a bit about her lovely grand-daughter. Looking across at her table, she notices more seats taken. Chairs pulled out. Tennis shoes underneath. This time by her husband together with a darling, young grand-son wearing metal and leather braces strapped to thin legs. Briefly, we talk about Chronic Conditions. “He was born with clubfeet,” she says, speaking of her other darling one. “He’s already had several surgeries,” she adds, “with more to come.” She speaks matter-of-factly, with no hint of ‘woe-is-me‘ in her voice when she glances over at her loved ones. There is no doubt, no question in my mind that this is where I am supposed to be. Right now, right here at this moment in time. A new Life Lesson for me today. How special it is to have and hold this “Hallmark” tip-toed kiss upon a grandmother’s lips! From an innocent grand-daughter to her loving grandmother. A story of life trials chock full of smiles on this very morning. Lucky for me. Sunlight shimmered, streaking through white window panes of my kitchen patio doors this morning. Brightness woke my limbs from further slumber. Six o’clock. A smiling face of walnut wood from the clock on the wall told me so. Scents of lemon oil drifted beneath my nose. Time to wake-up! “Doodle” dog nudged my feet of bare, signaling his readiness to go out into the world, to sniff wheat-colored plumes of grasses nearby, and to check invisible boundaries for any possible intruders. My hand was on the door’s bronze lever, seconds from pushing it down to open it up. Outside, a ruffle of feathers caught the corner of my eye. Only a few feet from garden bricks was a new ‘family’ for me to see! Beneath our bird feeder, the one where bright red Cardinals, Blue Jays and Sparrows of speckled brown rest on perches near, five Turkeys pecked leftover seeds on the ground below. I have often seen one or two before. The Hen, of course, who feeds for the invisible brood she hides safely away. And once or twice in the last six years, I’ve witnessed a large Tom waddling up and over our backyard hill, his long turkey neck of reddish-blue wobbling back and forth within the breeze. This morning, it was a true gift from God for me. To see this sight of such rarity! As the large Tom bobbed his head, pecking for seeds within the earth of clay, the Hen spread her wide wings, revealing three tiny babies, “Poults.” Not much larger than the eggs of a goose, they were covered in brown and white downy feathers that glistened in the sun. Their small eyes were dark black the color of wet ink. Darting this way and that, they were already keenly aware of any possible danger. Just as I was about to grab my camera, a doe and her fawn scampered by, spooking my new backyard ‘family.’ WOOSH went the Tom who flew straight up into the nearest, tallest tree! I never saw a turkey fly, but most definitely they do. The noise is shockingly loud, like thunder clouds of flapping feathers. The Tom flew straight up into the bright blue sky, rather than soaring side-to-side, like most birds do. As for ‘Tom’s’ family who were left quite skittish in my back yard, they took off very quickly. The Hen tried to gather her poults, spreading her wings while running toward the forest. Being ‘babies,’ the feathered toddlers waddled in different directions while ‘Mama’ yelped her loudest, trying to keep them close to her. Like little wind-up toys zipping towards the woods, three baby ‘poult’s carried a lesson for me today. Life moves forward in a flash, often unexpectedly. Don’t wait to pocket a picture of your dream. Catch it before something surprises you.